two exercises focused on practising question words, and ONLY question words, not the structure of the questions. 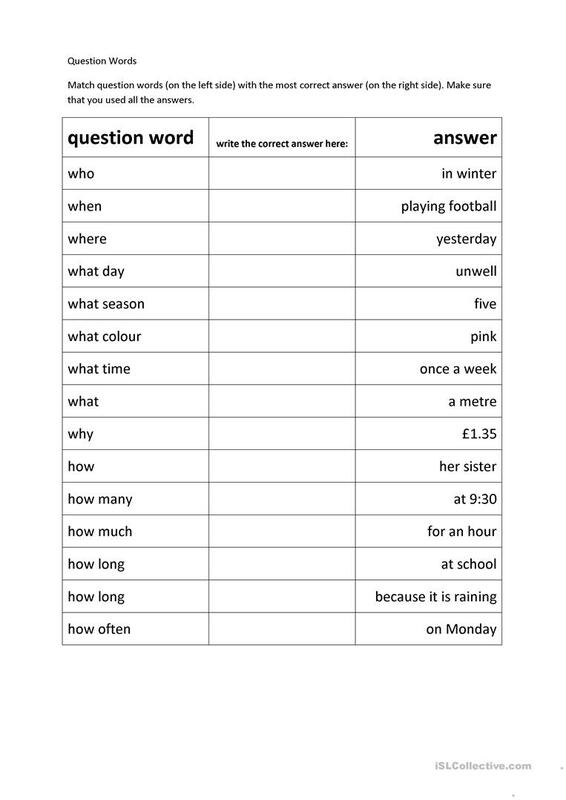 It's done so that the learners realise that different question word requires different answer. I find this type of exercise useful when I'm starting to teach listening for specific information. The present printable, downloadable handout is intended for business/professional students, high school students, elementary school students and adults at Beginner (pre-A1), Elementary (A1) and Pre-intermediate (A2) level. It is aimed at consolidating Questions in English, and is a valuable material for honing your learners' Listening, Speaking and Reading skills.